529 college savings plans were established in 1996 to make it easier for parents and others to save for education costs for designated beneficiaries at college and other post-secondary training institutions. The primary advantage of 529 plans is that interest and capital gains on the contributions are tax free at the federal level and generally at the state level — as long as withdrawals are made for qualified educational expenses. These include tuition, associated fees, books and supplies, equipment, room and board, computers and related computer equipment. State laws regulate the amounts that can be contributed; the total contribution can be as high as $380,000. There are no income constraints, such as there are for IRAs and 401(k)s. Individuals may contribute up to $15,000 per year to each beneficiary’s 529 plan without incurring federal gift tax. If you wish to make a contribution of more than $15,000 for a beneficiary in one year, you can treat the contribution as part of a five-year lump-sum allowance of up to $75,000 for gift tax purposes. Contributions are not tax-deductible. Anyone can establish the account for a designated beneficiary, and a plan can be modified to include other family members at a later time. Whoever purchases the plan is the custodian and controls the funds until withdrawal. The custodian does not have to allow the student any control regarding withdrawal of funds. Any state can establish a 529 plan; at least 30 states sponsor one. A designated beneficiary does not have to attend a school in the state in which the plan was created, nor is a person who establishes a plan limited to a specific state. He or she should establish a plan in whatever state he believes is most beneficial. One caveat is that when the time approaches for the beneficiary to attend college, the trustee should consider becoming more conservative regarding the portfolio structure. That is because there is the danger that stock market may fall significantly at the time withdrawals must be made. 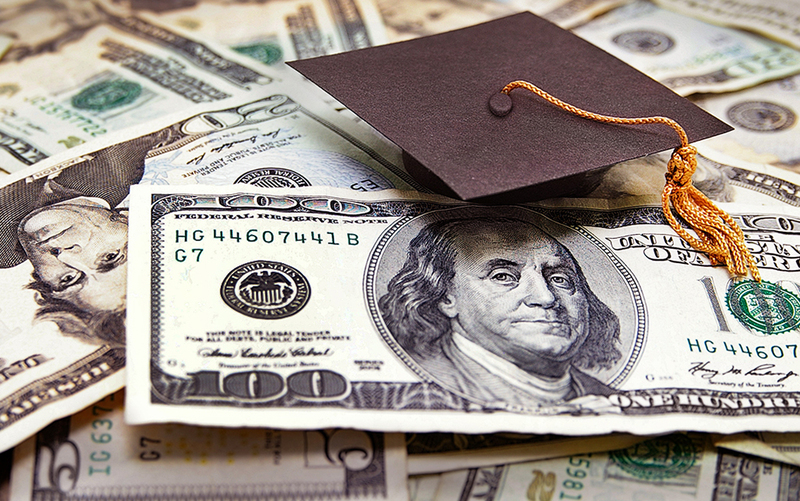 Although 529 plans have tax advantages, some savers might consider other alternatives, such as funding college out of a Roth IRA. Principal can be withdrawn from a Roth at any time without penalty. At age 59 1/2, the donor can make withdrawals of any size without penalties. Also, if the beneficiary decides not to attend college, funds in a Roth plan could be withdrawn without the income tax penalties a 529 plan would have for funds withdrawn and spent on non-educational purposes.